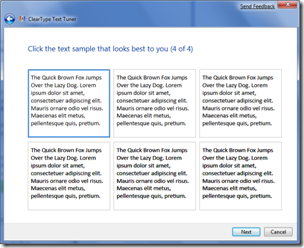 If you want to tune up your display for image or text display, there is the tools included out of the box. It’s amazing what a difference this makes: by slightly darkening the color of the text and adjusting the gamma back a little, my laptop display looks much crisper than it did before. 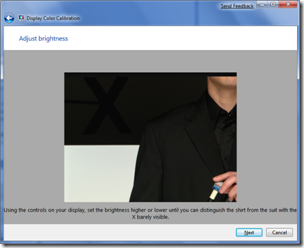 You’d adjust the brightness and contrast settings on that fancy 42” HDTV you’ve just bought: why wouldn’t you do the same for the computer displays that you stare at every day?